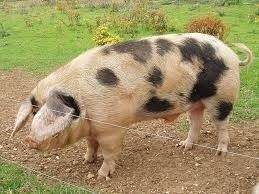 The Aksai Black Pied Pig is a large breed of pigs developed in the mid-eastern country of Kazakhstan. 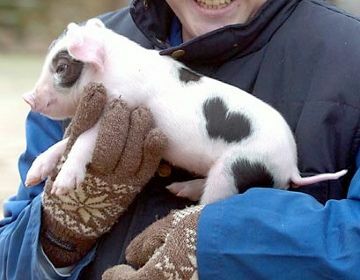 They are known for their distinctive black and white pattern. In some parts of the region, these domestic pigs are still used for agricultural purposes; however, they are mostly bred for their meat. 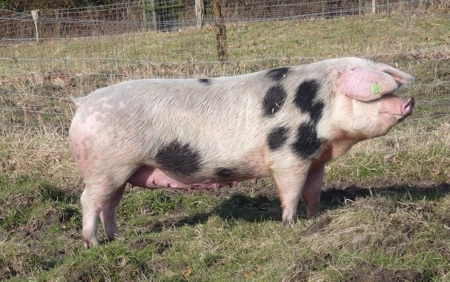 These pigs were developed by crossing the native pigs with the Large Whites and the Berkshires. They numbered to 3000 in 1964, 4000 in 1969 and 9000 in 1974. 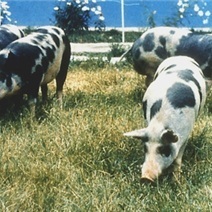 As of 1 January 1980 the total population was 11,000 including 5000 purebreds, of which 173 were breeding boars, 342 breeding sows, and 444 sows were on test. In 1983, an evaluation with a group consisting of 3 boar lines and 6 sow families were held in a fattening performance test, the results of which showed that, the time they take to attain their 100 kg body weight is about 212 days, and their feed/kg gain is 4.27 fodder units. The test also revealed that, their back fat thickness is 30 mm, the length of the carcass being 96 cm and ham weight 11.2 kg. 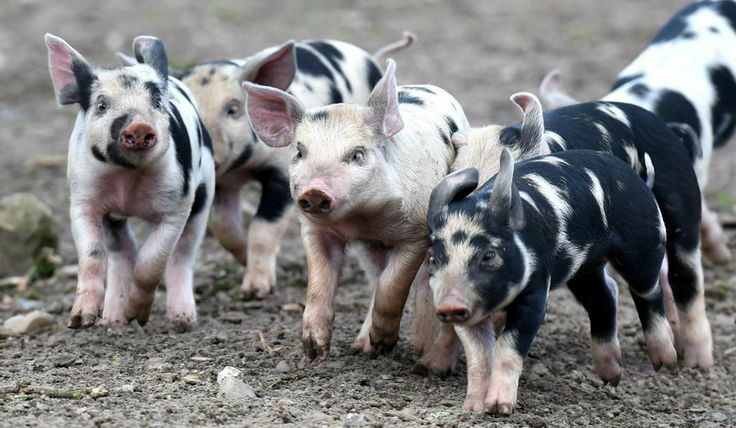 The group of these pigs had been raised, and eventually improved by breeding in the state farm situated in Kaskelenski and also at the Aksai experimental and training farm in Kazakhstan’s Alma-Ata region. 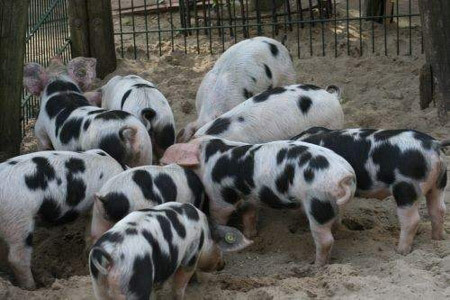 The herd that is in Aksai is often crossed commercially with Landrace boars, North Caucasians, and Large White pigs primarily to improve the litter size and the quality of meat. Owing to their big size, the amount of meat produced by them is huge, with the meat said to be of high quality. Also, the production is lucrative and prompt since the baby aksai pigs grow very quickly. An average 51-kilo juvenile of one month would be approximately 174 kilos by the time it is two months old.